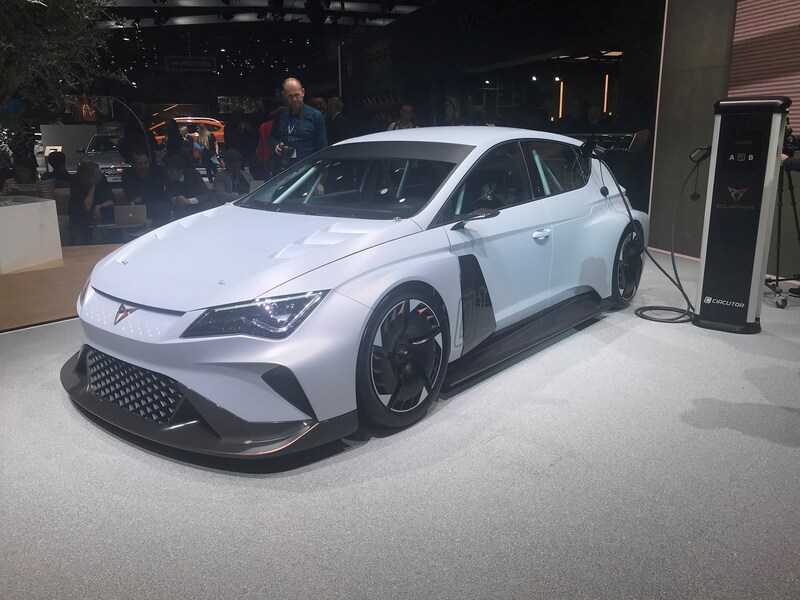 Seat has announced that it will launch a new model every six months until the end of 2020, including an all-new Leon, a fully electric hatchback model and a sporty Cupra-badged SUV coupe, on the back of the Spanish brand’s strongest-ever financial results. Reporting a post-tax profit of €281m for 2017 – a 21.3% increase over 2016 – and confirming its position as Spain’s largest investor in research and development (R&D) with almost €1bn spent over the past 12 months, Seat is consolidating its new model offensive between over the next three years, including further models from its Cupra sub-brand. Despite it being on sale since the end of 2012, the current family of Leons is Seat’s most popular range of cars, making its 2019 replacement significantly important for the brand’s profitability. 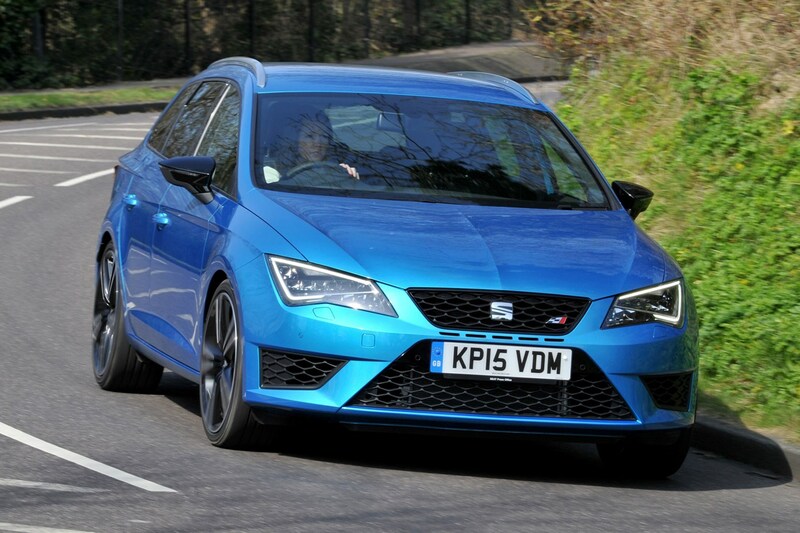 Seat confirmed another nail in the coffin of slinky three-door family cars by announcing there would be no new model to take over from the Leon SC – instead, a conventional five-door hatchback and a new ST estate (below) will be the only variants offered. Electrification will become an integral part of Seat’s model plans over the coming years in order to hit ever-more stringent EU CO2 emission legislation, resulting in plug-in hybrid (PHEV) versions of the next-generation Leon with a zero-emission electric range of at least 31 miles. Seat-badged Leon PHEVs will be clearly geared towards fuel-efficiency, but the forthcoming Cupra Leon, set to arrive in 2020, will use its electrification to generate more performance. Other, non-plug-in Leons will also be available with a 48-volt electrical system as part of a mild-hybrid package, essentially operating as a more capable stop/start function. Similar tech will also appear in the Ibiza, as PHEV systems are currently deemed too expensive. Whether there will be a new version of the SUV-aping Leon XPerience wasn’t confirmed, but considering that it’s a fairly simple evolution of the ST – and provides a higher revenue per car sold – it’s highly likely to be in the model mix. Given the popularity of SUVs, you’d be forgiven for assuming that, like sister brand Skoda, Seat’s first purpose-designed battery electric vehicle (BEV) would also be a crossover. Instead, like the production version of the Volkswagen ID Neo the Seat is based upon, it will be a five-door hatchback, close in size to the Leon, but with a larger interior thanks to the VW Group’s electric-specific MEB underpinnings. This move will allow Seat to get its BEV on sale before Skoda does. It’s still early days regarding specifics about the so-far un-named BEV, other than it will have a range of 310 miles, feature advanced connectivity and infotainment equipment and that it will be built at a dedicated electric-car production facility in Zwickau, Germany. Prices are expected to start around a level similar to high-specification petrol and diesel Leons today. During interviews with Seat's senior board members, it was when they talked of the forthcoming Crossover Utility Vehicle (CUV) that they seemed particularly captivated. Set to go on sale in 2020, the newcomer is part-SUV, part-five-door coupe, and will share its architecture with the 2019 Leon – think upon similar lines to the BMW X2, we reckon. While it will be less capable off-road than the similarly sized Ateca, it will be priced as a more premium offering. 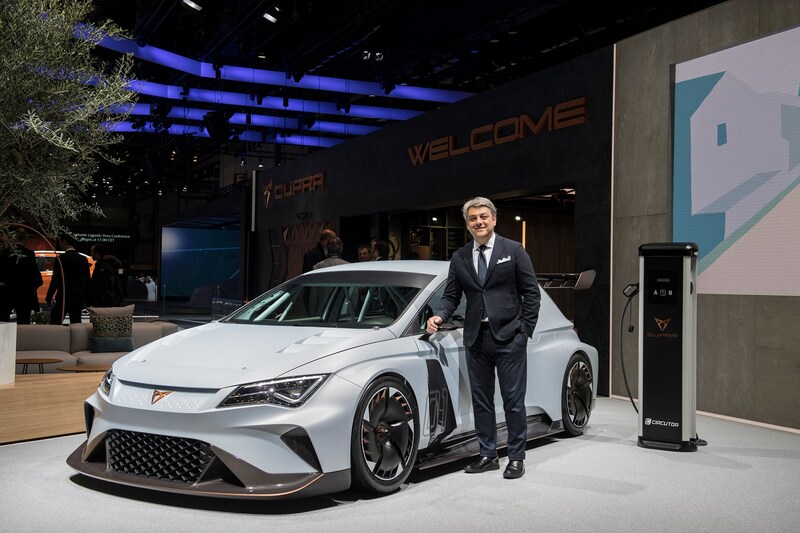 Seat president, Luca de Meo (above), gave a clear indication that the CUV will be initially launched under its high-performance sub-brand, with more mainstream versions following later: ‘it’s designed to be a Cupra first,’ he told CAR magazine. Whether the CUV will be marketed as a member of the Leon family is yet to be decided, but given its underpinnings it’s safe to assume PHEV options will be available in addition to petrol and diesel engines. Steat has already released teaser pictures of the upcoming Tarraco SUV, a seven-seater that will sit at the top of its range. Essentially it’s Seat’s interpretation of the popular Skoda Kodiaq and, like the five-seater Ateca, will be built by the Czech firm. 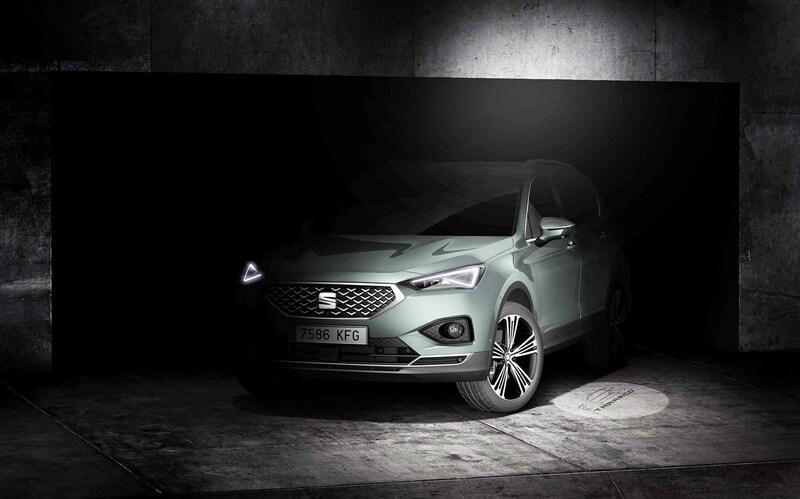 Expect the Tarraco (below) to arrive before the end of the year, alongside the high-performance 300hp Cupra Ateca, the first model revealed by Seat’s premium sub-brand. Further Cupra models are expected to follow in 2019, with racier versions of the Ibiza hatchback and Arona SUV set to join the fray. While Skoda confirmed it will follow Volkswagen’s lead with the e-Up with an electric version of the Citigo, Seat is much cooler about the prospects of a Mii BEV, acknowledging that it’s no more than a possibility. 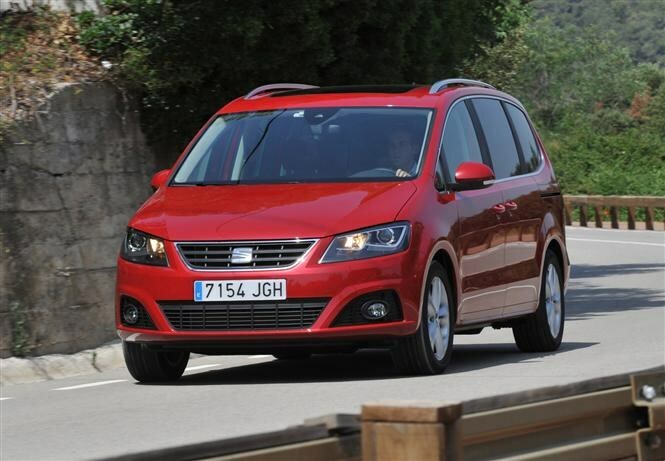 It’s a similar situation facing the Seat Alhambra (below), which recorded 31,200 sales in 2017 – the seven-seater MPV’s best ever year, despite this generation being on sale since 2010. Seat’s vice-president for finance, ICT and organisation, Holger Kintscher, conceded that this was in part due to other manufacturers deserting the MPV segment. Kintscher also acknowledged that a replacement was effectively down to whether Volkswagen replaces that Sharan, but that Seat ‘should do another Alhambra’ despite the bodystyle being out of kilter with the brand’s sporty image. What else does Seat have planned? Further, its investment in Metropolis:Lab Barcelona allows Seat’s R&D team to investigate future urban mobility solutions, such as fully autonomous electric cars and sharing solutions, without building an operation from the ground-up. Bigger news for the German and Italian markets is that Seat is leading the VW Group on the compressed natural gas (CNG) front. The fuel is popular in those markets, and Seat is planning to replicate this is Spain by co-funding a CNG refuelling network for its TGI-badged models. Audi has also entrusted Seat’s Martorell plant to produce its second-generation A1, alongside the Ibiza and Arona. Those models, together with the Pamplona-built Polo and forthcoming T-Cross SUV are all based on the small MQB A0 modular platform, generating significant economies of scale for Iberian peninsula suppliers producing components for the expected 700,000 annual units.